Human Body Detectives are human body book and elementary curriculum series created to educates kids to understand how their bodies work and what best foods fuel their bodies. Once kids understand how food is important for them to run faster, hit the ball harder and do better on tests, they are more apt to make healthy food choices. Makes being a parent much easier with less food fights and less time taking off work to care for sick children. Kids are alert and focused in the classroom making it a peaceful time for teachers to teach and kids to learn. Dr. Heather Manley, who in 2001 received her medical degree from the National College of Naturopathic Medicine in Portland, Oregon, is a practicing physician whose primary interest is preventative healthcare for families. She is the author of the award winning Human Body Detectives, her children’s elementary educational series of story-telling books, curriculum, eBooks, and iPhone/iPad apps. She also promotes wellness and naturopathic healthcare on her website DrHeatherND.com. 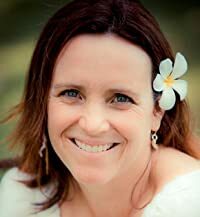 She lives on the Big Island of Hawaii with her husband and two daughters, and is currently at work on the next human body adventure for kids.